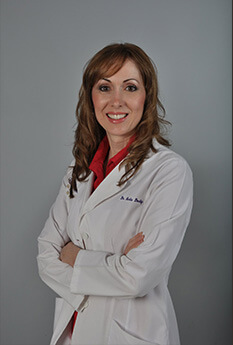 Dr. Dodig earned her Doctorate of Dental Surgery at The University of Texas at Houston Dental Branch where she received several awards in Aesthetic and General Dentistry, including the Myron Sigler Aesthetic Dentistry Award for Outstanding Performance and Interest in Esthetic Dentistry, the Outstanding Prosthodontist Award, and the Star of the South Dental Meeting Table Clinic Award. She is an active member of the American Dental Association, Greater Houston Dental Society, the Texas Dental Association and the Houston Hispanic Dental Association. Dr. Dodig is passionate about treating patients as personal friends and with the highest level of professional skill. Devoted to continuing education, she regularly takes courses that allow her to provide an advanced level of care. Her recent specialties include dental implant-supported prosthetics, TMJ dysfunction, cosmetic bonding and esthetic reconstruction. She is excited to provide you and your family with the latest general, restorative, and cosmetic dentistry services. Dr. Dodig lives in West University and enjoys a great reputation stemming from her many years of practice in Houston. Dr. Dodig and her husband relish time spent together doting upon their adorable little girls, one who goes to school at nearby West U Elementary. In her free time, Dr. Dodig enjoys being outdoors, hiking and yoga.